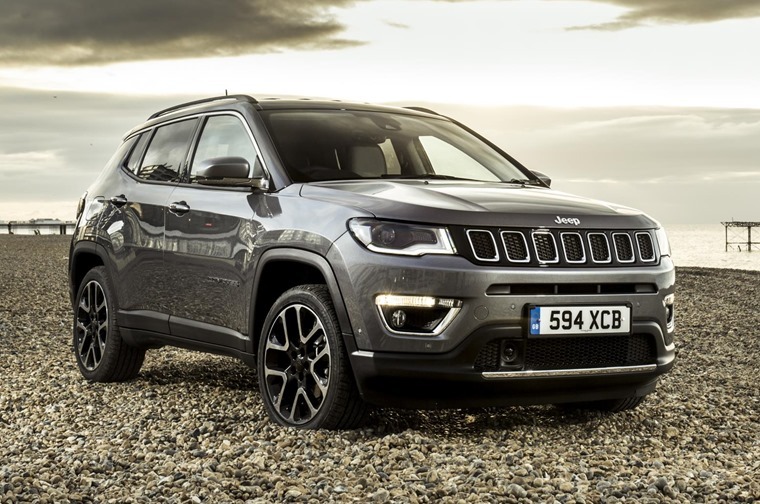 The all-new Jeep Compass will be priced from £22,995 when it hits UK roads next year, with the first deliveries expected in February. Size-wise, this all-new Jeep sits between the smaller Renegade and large Cherokee SUV and will allow Jeep to assert its presence in the ever-growing compact crossover segment. It’s immediately recognisable as a Jeep thanks to characteristic traditional design cues, such as the seven-slot grille and the wheel arches. LED signature headlamp bezels featuring a black outline add personality and attitude to the face of the all-new Jeep Compass. 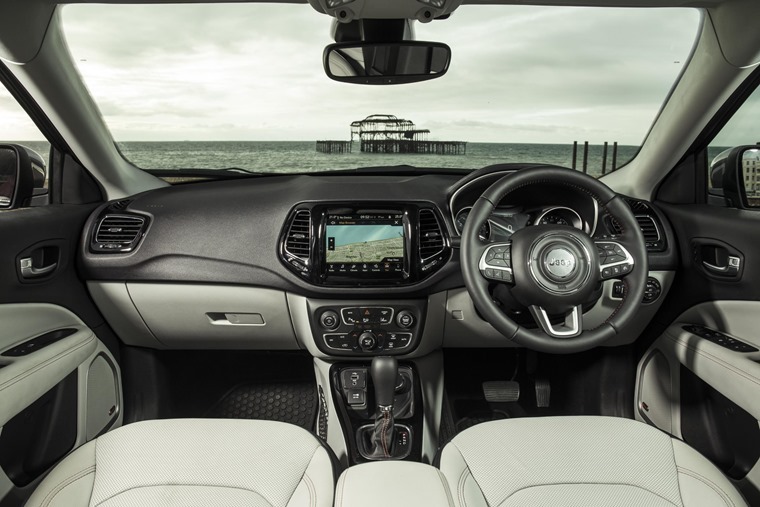 On the inside the Jeep Compass features refined materials and technical details. The centre stack houses a 5in, 7in or 8.4in touchscreen, while the centre console neatly integrates gear-shift selection, Selec-Terrain controls, electronic parking brake, engine stop-start (ESS) controls, climate and volume control knobs, and easily-accessible media charging and connectivity ports within the cubby bin. The driver's instrument cluster is thoughtfully designed and features a 3.5in or 7in LED driver information display. The full-colour 7in screen displays information that the driver may configure for easier access while driving and will be standard on Limited and Trailhawk models. Three new Uconnect systems deliver communication, entertainment and navigation features to enhance both the driving experience and passengers' onboard comfort. Uconnect 7.0 or 8.4 NAV systems feature a high definition screen with capacitive touch while Compass Limited and Trailhawk models also feature Uconnect 8.4 NAV with Jeep Skills. This easy-to-use application provides off-road-specific indexes, that allow drivers to monitor their performance on trails. 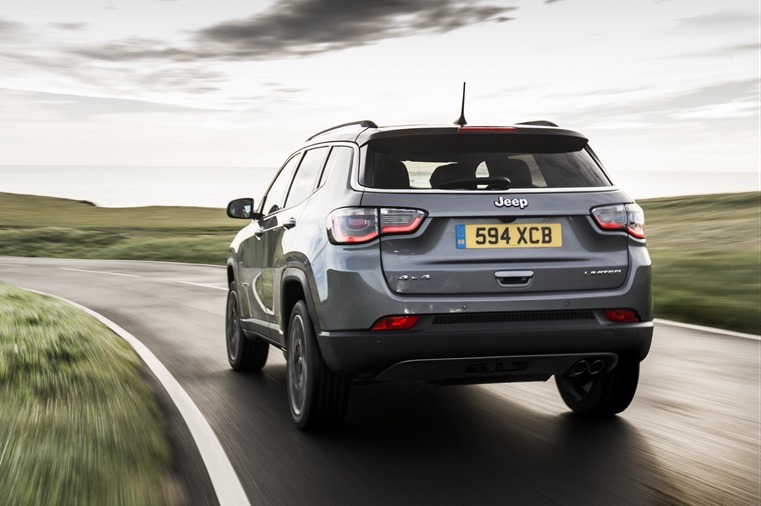 On the road, the Jeep’s small wide architecture, a fully independent suspension, segment-exclusive frequency damping front-and-rear-strut system, and precise electric power steering combine to deliver superior on-road driving dynamics. Off-road is what Jeep remains famous for though, and best-in-class off-road capability comes courtesy of two advanced, intelligent full-time 4x4 systems: the Jeep Active Drive and the Jeep Active Drive Low, the latter with 20:1 crawl ratio, each of which can send 100 percent of available torque to any one wheel when needed. Both Jeep Active Drive and Active Drive Low 4x4 systems include the Jeep Selec-Terrain system, providing up to five modes (Auto, Snow, Sand and Mud modes, plus exclusive Rock mode on the Trailhawk model) for the best four-wheel-drive performance on any surface - on- or off-road - and in any weather condition. 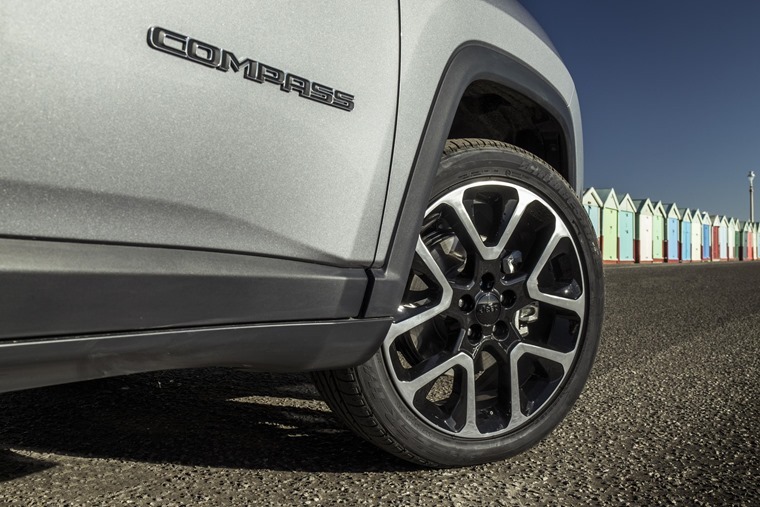 Compass features a disconnecting rear axle and power take-off unit (PTU) - in order to provide 4x4 models with enhanced fuel economy. Both Jeep Active Drive and Active Drive Low 4x4 systems instantly engage when 4x4 traction is needed. The Trailhawk model features increased ride height of almost 2.5cm, skid plates, red rear tow hook, unique front and rear fascias that deliver 30 degree approach, 24.4 degree breakover and 33.6 degree departure angles, aggressive 17in off-road tires and up to 216mm of ground clearance. For even greater Trail Rated off-road capability, Selec-Terrain includes Selec-Speed Control with Hill-descent Control on Trailhawk models. Four equipment levels will be offered: Sport, Longitude, Limited and Trailhawk. The Sport is priced from £22,995 and standard equipment includes 16in alloy wheels, LED tail lights, leather steering wheel with audio controls, air conditioning, cruise control, forward collision warning and 60/40 rear seat split. Longitude (from £24,995) adds 17in alloy wheels, front fog lamps, Parkview reverse camera, Apple CarPlay and Android Auto functionality, 8.4-inch audio and navigation, electric lumbar support, dual zone climate control and keyless entry and go. Limited (from £27,995) equipment includes 18-inch alloy wheels, halogen projector headlamps, silver roof rails, privacy glass, leather power and heated seats, windscreen wiper de-icer, heated steering wheel, rain sensitive wipers, Parkview reverse camera, and park assist systems. Range-topping Trailhawk (from £35,595) adds halogen projector headlamps, hood decal, red rear tow hook, privacy glass, front and rear off-road bumpers, raised off-road suspension, front and rear skid plates, 8.4-inch audio and navigation, leather power and heated seats and an off-road Hill Descent Control system. 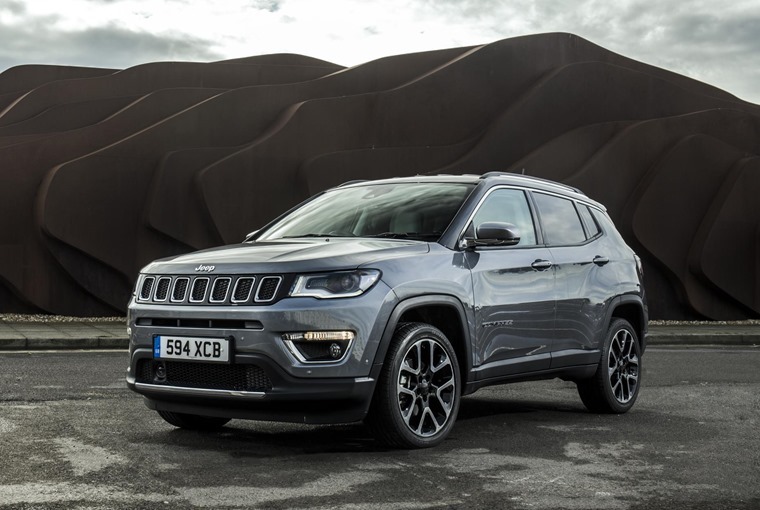 In order to meet all customers' needs and preferences, the all-new Jeep Compass offers eight powertrain combinations, including two petrol, two diesel engine options and two gearboxes - a nine-speed automatic and six-speed manual. The petrol engine offering includes a 1.4-litre Turbo engine with Stop&Start delivering 137bhp and 230 Nm of torque in combination with the six-speed manual gearbox and 4x2 configuration. It is also available as a 167bhp-form, paired with the automatic gearbox and four-wheel-drive system. 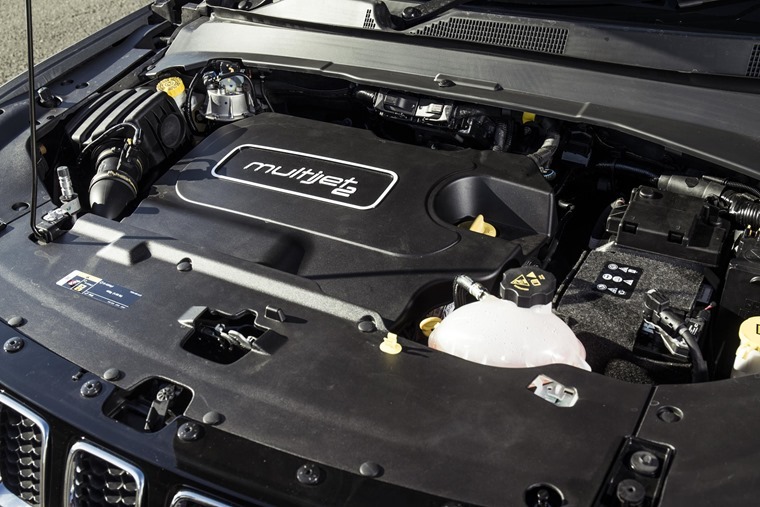 The diesel engine range comprises the efficient 1.6-litre MultiJet II that produces 118bhp and 320 Nm of torque. This also features the manual gearbox and a 4x2 drivetrain configuration. The larger 2.0-litre diesel is available as either a 138bhp or 168bhp, both of which are only available with four-wheel-drive. Both gearboxes are available, depending on the trim level in question. 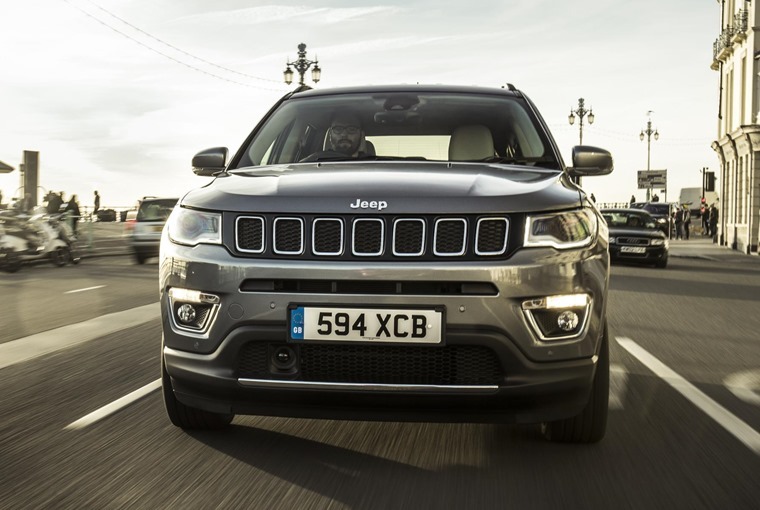 Driver and passenger safety were paramount in the development of the all-new Jeep Compass, which offers more than 70 available active and passive safety and security features. These include Forward Collision Warning-Plus, LaneSense Departure Warning-Plus (both standard across the whole range in Europe), ParkView rear backup camera with dynamic grid lines, Automated Parallel and Perpendicular Park assist, and six standard air bags. For added protection, Compass also boasts a ‘safety cage’ construction with more than 65% high-strength steel. Deliveries are due to commence in February 2018. Leasing rates will be available soon and we’ll bring you the very best deals as soon as they are. If you can’t wait until next year, why not check out these personal lease deals on the Jeep Renegade?